Not many performers make their Celebrity Series debuts at age 67. 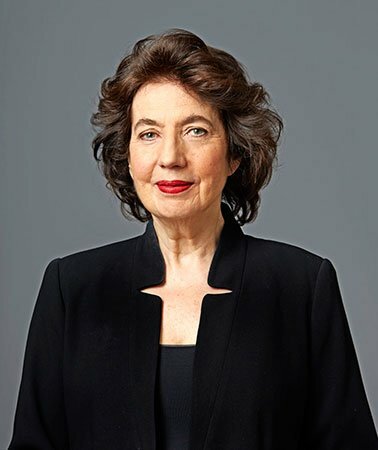 And fewer still would do so with the unconventional program British pianist Imogen Cooper brought to Jordan Hall Saturday. Her recital was originally scheduled to begin with Beethoven’s Opus 33 Bagatelles, but she substituted three selections from Leoš Janáček’s On the Overgrown Path. That was followed by one of the great 19th-century piano works, Robert Schumann’s Davidsbündlertänze. After intermission, the scene shifted to Andalusia in works by Manuel de Falla, Claude Debussy, and Isaac Albéniz. The performances were heartfelt and carefully thought out but not always immaculate or idiomatic. The title of On the Overgrown Path, which Janáček composed in the first decade of the 20th century, refers to a Moravian wedding song in which a bride sadly observes that the path to her mother’s house has become overgrown. It’s a dark cycle, much of it attesting to the composer’s grief over the death of his 20-year-old daughter, Olga, in 1903. From the 10 pieces in Book One, Cooper selected “Frýdecká Panna Madonna” (“The Frýdek Madonna”), “Štěbetaly jak laštovičky” (“They Chattered like Swallows”), and “Sýček neodletěl” (“The Little Owl Has Not Flown Away!”). These were all nicely paragraphed. In the first one her big, weighty chords caught the emotion of a pilgrims’ procession to the Moravian village of Frýdek, near Janáček’s birthplace of Hukvaldy. In the second she conveyed the composer’s impression of women chattering like swallows, if not his shifting moods; in the third, she gave a forced cheer to the folk song that’s repeatedly interrupted by the tremolo call of the tawny owl. This is a bird of ill omen in Eastern European folklore, so no wonder the folk song breaks down at the end. Davidsbündlertänze was less successful. Writing to his fiancée (and future bride), Clara Wieck, in 1837, Schumann described the work, a kind of engagement present, as the “faces” behind the “masks” of his Carnaval. Yet this cycle, two “books” of nine pieces each, reads more like masks behind masks as the Davidsbund (“League of David,” Schumann’s imaginary secret society) fights the good fight against the Goliath of musical philistinism by dancing. Opening with a motto borrowed from one of Clara’s mazurkas (the same one Schumann alluded to in Carnaval’s “Chiarina”), it mostly waltzes, but polka (1.8, 2.3, 2.4), tarantella (1.6), and manic minuet (1.9) also take the stage, and there are even canons (1.3, 2.7). Each episode is signed by one (occasionally both) of Schumann’s literary and musical alter egos, dreamy, poetic Eusebius and impulsive, aggressive Florestan. Cooper has recorded Davidsbündlertänze twice, for Ottavo in 1990 and for Chandos in 2014. In the Chandos booklet, she notes that Schumann also called the work a “Polterabend,” a German wedding-eve party where crockery gets smashed to bring the new couple good luck. It’s an apt description of a wild and crazy composition that, written under the influence of Schumann’s favorite author, Jean Paul, keeps thwarting your expectations. Sonata form is hinted at and then subverted. The tonality hints at B minor, but each book ends in C major (C for Clara? ), though that doesn’t stop 1.9 from flirting with C-sharp. There are digressions and then—a Jean Paul specialty—digressions from the digressions. The last section, like “Der Dichter spricht” in Kinderszenen, is an afterthought that’s both superfluous and essential. At Jordan Hall, as on her recordings, Cooper played Schumann’s revised version of 1851, in which he made the work more conventional by adding repeats, filling in textures, deleting the final two chords of 1.9 (Cooper played them anyway), and altering that unsettling D-flat in bars 22 and 24 of 1.8 to a more cheerful D. There were lapses in concentration — notably at the end of 1.8, where she lost the thread the second time round — and some smudged notes, but the real problem with her performance was that no crockery got smashed. Everything was tasteful and sensitive — and deadly serious. Her powerful, reverberant bass rumbled incessantly, and when she came to a trio or a coda, there was rarely a change of mood. She contributed a wistful line to 2.5, and in 2.8 her phrasing was individual enough to have chipped a plate or two. But Davidsbündlertänze should be headlong and passionate (think Géza Anda), or quirky and light-footed (Wilhelm Kempff), or full of illuminating surprises (Maurizio Pollini). Special in some way. Cooper was mostly pedestrian. The second half began with a quartet of works saluting Granada. When he composed his Homenaje (“Pour le tombeau de Claude Debussy”), in response to Debussy’s death in 1918, de Falla was actually in Granada, and he drew inspiration from Debussy’s “La soirée dans Grenade,” which he quotes toward the end. Cooper followed with “La soirée dans Grenade” itself and then, from Book Two of Debussy’s Préludes, “La puerta del vino,” which describes the gateway of the Alhambra in Granada. Rounding off the set, from Book Three of Albéniz’s Iberia, was “El Albaicín,” which is set in Granada’s Gypsy quarter. The first three are habaneras; the fourth alternates flamenco bulerías and jondo-like song. Cooper exhibited a feel for the various dance rhythms, and she created a sultry atmosphere, but nothing sizzled. As in the first half of the program, everything was fraught; there were moments in “El Albaicín” when I wondered whether she wouldn’t be better suited to Rachmaninov. She closed with Book One of Albéniz’s Iberia. “Evocación” embraces the traditions of both northern and southern Spain; “El puerto” salutes the seaport of El Puerto de Santa María near Cádiz; and “Fête-Dieu à Séville” depicts the Corpus Christi procession in Seville, recalling, in a neat touch, “Frýdecká Panna Madonna.” Again the dance rhythms came through, particularly the zapateado in “El puerto,” but the set didn’t dance. The final pages of “Fête-Dieu à Séville” did subside into an unearthly calm, in what was her most beautiful playing of the night. There was just one encore, the first of the Cançons i danses by Frederic Mompou. That too was a nice touch, Cooper explaining that Mompou was, like Albéniz, from Catalonia. The piece itself sounded merely pretty. Thanks for your accurate, instructive, and fair account of this concert. I too was somewhat disappointed by the Davidsbündlertänze, but did think the concluding “Nicht schnell” quite special indeed. After reading your review I listened to Pollini’s recording of 2.9. It was gorgeous, but didn’t stop time for me the way Imogen Cooper’s performance had.